Like you, I love information. Yet as a writer and a Reiki master interviewed by the media many times, I know how easily information gets distorted even when there is a strong commitment to accuracy. Under the best of circumstances, interpretation slips in like greased lightening, unintended changes occur, and nuance gets veiled or incorrectly implied. That’s why I make an effort to get my information as close to the source as possible. Especially information about Usui Reiki Ryoho. I never met Hawayo Takata, but I’m fortunate to have been trained in her practice, and to have friends and colleagues trained by her, especially Susan Mitchell, Wanja Twan, and Paul Mitchell, who generously share their experience with me. My years living in Asia sensitized me to the distance between Asian and EuroAmerican perspective, and so the support of my Japanese colleagues, Reiki masters Hyakuten Inamoto and Hiroshi Doi, is especially valuable to me. (I know my colleagues don’t like to use the word “master,” but I cannot in good conscience avoid it, as the term suits them so well.) Japanese is not simply a language; it is a cultural and spiritual perspective, and much gets lost in translation. My Takata colleagues and my Japanese colleagues were generous with their support as I wrote REIKI: A Comprehensive Guide, and I remain indebted to them. Yes, I love information, and reliable information about Usui Shiki Ryoho is not easily available. So when I had an opportunity to discuss points of practice with my esteemed Japanese colleagues, to learn more about the distinctions and commonalities of our approaches from experienced teachers, I went for it. As part of my blog’s second birthday celebration, I want to give you a special gift–the transcript of that conversation. It’s an honor to share with you this very special gift that Inamoto sensei and Doi sensei gave to me. 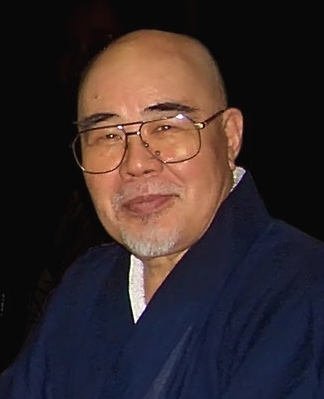 Hiroshi Doi spoke from his practice, Gendai Reiki Ho, based in the practice of Usui’s Gakkai; Hyakuten Inamoto spoke from his practice, Komyo Reiki Kai, based in the practice of Chujiro Hayashi; and I spoke from my Takata practice. You can read the transcript of our conversation, and share this gift with your circle. The transcript is translated into Portuguese, Spanish and Greek. I appreciate so much the generosity of the global Reiki community and the Reiki practitioners and masters who have offered these translations as community service to help spread awareness of traditional Reiki practice. If the above article was useful to you and you want more, please signup to stay in touch! Thank you so much for your post. I’m so glad I found this site, and am able to read your experience in the direct lineage line of Reiki! It’s so inspiring, thank you again. Much thanks for your precious artice and interview with HD and HI. Let me share my thoughts about “Usui Reiki Ryoho”. As far as I know before Usui sesnei’s enlightment (1922) he had already teached something spiritual teaching, and around 1922-23 his system was referred as “Usui-Do”. In that time initiation process and symbols was not matured. This was perfected only just around 1925 when navy admirals start to influence Usui’s teaching and system. Additionally When Hayashi sensei left the Gakkai organization in 1929, he created his own school, Hayayhi Reiki Kenyukai. And however the Gakkai organization is still exist, it is still not public and we are not sure what they teach inside. However I read Doi sensei’s book, I found he manily explain reiki from western viewpoint and according to western reiki system. The biggest point of this topic is the “master symbol” which is not teached in Gakkai according to Fumio Ogawa sensei (he was the member of Gakkai) And in japanese reiki it is unknown the chakra system. So I would say at now we generally know japanese healing technincs and self developement and meditation technics which are maybe used in Gakkai. But I think it is not clearly Usui Reiki Ryoho as generally used in worldwide. Because we still know very little about what and how Usui sensei exactly taught reiki. Which is very interesting for me that however reiki sytem changes it still works. However I think it is valuable to preserve as much tradition as much possible. @ Gabor, for what it’s worth, Hiroshi Doi stated that the Gakkai does know about the Master “symbol” – this was stated at a class he taught back in 2002. I agree that we can not know exactly what Usui taught. From what Hiroshi Doi has commented before, that the Gakkai exists to carry on the will of Usui, so they don’t claim to practice Reiki exactly as Usui did either. Betsy, you are very welcome. One of my goals is to support practitioners such as yourself who want to maintain the traditional values of this simple practice. And since you’re teaching veterinarians this weekend, check out the stories in the Reiki for Animals category. I enjoyed this interview very much. I will be teaching a Reiki I class this weekend my second one. I am teaching my veterinarian and another in the field of veterinarian medicine as well as some other wonderful students. I continuously try to deepen my knowledge to help my students have a better understanding of Reiki particularly more directly from the Japanese lineage so I very much appreciate this article. Thank you so much. I truly believe it is important to continue to teach in a way that maintains the pure essence of what Reiki is, a beautiful sacred practice that can elicit healing. I thoroughly enjoyed the transcript of your conversation with Hiroshi Doi and Gendai Reiki Ho. I especially value the part about intention and their advice to “surrender” to the Reiki. The statement, “if we keep paying attention to intention, we might be misled that we are doing something” really struck me, like an “a-hah!” moment. I like the concept of surrendering. I’ve always felt that Reiki is so simple yet so profound. This illustrates that. Thank you! This was very helpful. Hmmm. I’ve dedicated an entire chapter each on these 2 topics in my upcoming book. I have to say that most of what Takata taught is very similiar to what the Japanese Master’s are teaching. (I assume you mean Hiroshi Doi and Hyakuten Inamoto when referring to the Japanese Masters.) I’ve studied with both as well as some of Takata Masters. It seems to me (in a nutshell), Takata learned and taught most of what she learned from Hayashi. What Hayashi taught was pretty close to what is being taught as Reiki by Hiroshi Doi and Hyakuten Inamoto. Unfortunately, it seems a lot of teachings from Takata were dropped somewhere down the lineage line. Since these things were dropped, most people in Takata’s lineage are not aware of all the “techniques” Takata taught and just assume she didn’t know them. As for lineage, it only takes 1 person in your lineage to entirely change things. So, lineage alone isn’t enough and I agree with Pamela that it is best to do some inquiring into the Reiki teacher you want to study with. I’d say, interview several… (not speaking directly to you Pat…I hold Anneli in high regards). Pat, thank you for your comment. How fortunate you are to be Anneli’s student. She and her mother are dear friends and colleagues. I’m unclear what you mean by writing, “The Japanese masters have taught as Mrs. Takata taught.” Although Mrs. Takata and her Reiki master Chujiro Hayashi clearly brought the essence of the Japanese practice to the US, the details of the practice are different. Usui/Hayashi/Takata practice is simpler than the protocols used by the Reiki lineages that stayed in Japan. I would also like to underline that knowing one’s lineage is not a guarantee. It’s also good to look into the Reiki master before choosing a class, because some Reiki masters stay closer to their traditions than others. This article helps people choose a Reiki class that is a good fit for them — Reiki Classes: What’s Right for You? I am a Master from Anneli Twan in direct lineage of Mrs. Takata. Anneli received level one from Mrs. Takata and was made a Master from her mother Wanja Twan one of the 22 Reiki Masters of Mrs. Takata. The Japanese masters have taught as Mrs. Takata taught. Hands on it works she would say and hands off its off. She loved that Reiki was so simple that a housewife could help her children and family. Its important to know your lineage as people are often not getting Usui Reiki. My sister had to redo her Reiki as she did not have Usui Reiki. She stated she noticed the difference right away in working with the Usui Reiki. Great interview! However, I think you sort of confused them with that question/statement, “Qi moves in the meridians, Prana moves in the Nadis” since there is no one “qi” in Chinese Medicine per se. We have Wei Qi, Ying Qi, Zhong Qi, Qing Qi, Gu Qi, Yuan Qi, and at least a dozen others…some flow in the meridians (Ying Qi), some flows outside the meridians (Wei Qi), others are stored in certain organs or places in the body (like the chest), etc. etc. etc. It is a common misnomer that there is only one particular type of Qi in the body and that it is contained only in the meridians….all these qi have a particular function/job in the body. How all these qi are made or come into existance is clearly delineated in the Nei Jing Su Wen Ling Shu and later texts. I am not writing this to be “academic” or “Scholarly” I am writing this b/c is was sort of a “trick” or misleading question. It is sort of complex all these qi in Chinese Medicine while Reiki is simple! Thank goodness! Thank you, Robert–you know how I love academic and scholarly! I completely agree with you. I usually say “qi is associated with the meridians and prana is associated with the nadis” for just that reason, that both qi and prana are very complex, but I misspoke in this instance. I was trying to find a middle ground that would make sense to most people, and I blew it. Mea culpa! Since you brought it up, how would you like to write a guest post giving an overview of the qi that communicate the subtlety and complexity of the Chinese system to our readers, without them getting lost in the details. Are you up for that? I would be honored to write something for your blog about Qi in Chinese Medicine. It will be difficult to write something that will be both true and succinct, but I will put forth my best effort. Thanks again! Thank you for your reply, Pamela. Your website and your classes are definitely a very valuable tool for the continuing education of Reiki practitioners. I contacted the Touch Research Institute of the University of Miami a couple of months ago and they told me that they only accept massage therapists for their research training. I thought that you might know of another opportunity for research training. 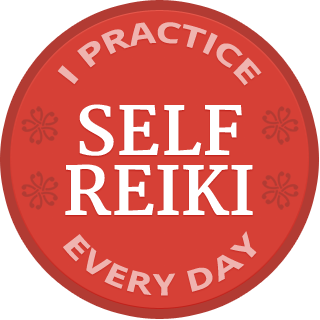 I agree that the best foundation for credible Reiki practice is built through consistent self-practice. Pamela, thank you for this interview! I would like to ask you a question with regards to what you said to Michael about finding credible Reiki practitioners for research. How can a Reiki practitioner become research trained? In its strategic plan for 2011 – 2015 the NCCAM states that it is looking for CAM practitioners who are able to collaborate in research. I am very interested in doing that but do not know where to get research training. Thank you for your reply. Christine, I do not know of a simple solution to the dearth of CAM providers who are able to collaborate in research. I trained in research as an undergrad, and continue to learn from all the researchers I collaborate with. One huge obstacle is that the public’s understanding of research and the scientific method is largely misguided. Research is a particular culture and perspective that functions according to a very specific playbook. Understanding that perspective, which is so very different from the perspective of most Reiki practitioners, is key to being a good collaborator. That is why I spend time on research in my 2-day Medical Reiki seminar (offered Sept 10/11, 2011 in London) and also introduce it in the Introduction to Medical Reiki webinar. Beyond that I suggest carefully reading research papers starting with those available on the Medical Papers page. Reading the various posts in this blog regarding science, Reiki and research, and the relevant chapters in my book REIKI: A Comprehensive Guide will also help. Being a credible Reiki practitioner is a good start. Part of being credible is recognizing the limits of one’s own knowledge, and deferring to the expertise of others when appropriate. The foundation of a credible Reiki practitioner is practicing consistent daily hands-on self-treatment. For a long time. We cannot be solid custodians of this practice without devoting considerable time to actually practicing on ourselves and observing what develops. And of course it is also important to have a lot of experience practicing on others. This is where spending some time as a volunteer can be helpful, in that volunteer situations can be used as a kind of internship in which practitioners interact in a supervised setting with people who are likely addressing serious health challenges, or actively dying. We learn so much from this experience, and it is much easier to get it in a hospital or hospice setting than on one’s own. The Touch Research Institute of the University of Miami medical school offers a 2-day workshop on researching touch therapies many times a year. Their focus is massage, but the research done there is well respected and the training may still be of use. To anyone who has read the article you have posted, I find the last quote very appropriate and deserving, Pamela. Kudos to you!!! Read below if you did not read the full article..then I suggest that you do. Inamoto sensei and Doi sensei were not saying that one has to be a perfectly “clean, clear Reiki channel” in order to practice on others, but rather that the right order is to improve our own condition first (as Takata-sensei also advised) and to practice with others as we find that we are able to maintain equanimity throughout life. They also make the point that this is an ongoing process. I did not understand from their comments that one is not able to practice without this attainment, but rather that this is a guideline, and a goal to work towards. Steady equanimity is commonly recognized as a mark of spiritual development. Regarding research, scientists and doctors do not speak in terms of proof; only the lay public and the media do that, and it is a serious misunderstanding. If research were about proof, how could we have so many studies that contradict one another? Medical research is done to narrow the likelihood of harm and maximize the likelihood of benefit. Physicians cannot ethically or legally recommend patients spend their time and money on practices and products that have not met basic standards. That said, research data aren’t the only information considered when advising patients. This is how Reiki treatment has come to be offered to patients in hospitals around the country despite the lack of evidence needed to include it in standard care. Making it available and recommending it are two different levels of acceptance in health care. The first goal of Reiki research is to document benefit. That benefit doesn’t have to be dramatic; it just has to be documented credibly. One reason why so little Reiki treatment is given in many studies is because there is not a credible Reiki practitioner as part of the research team. The reason for that is not oversight, but rather the scarcity of experienced Reiki professionals who can make sense to physicians and researchers. Researchers want to do good work and find non-toxic treatments that can benefit patients. We need to make it easier for researchers to access credible information about Reiki and credible Reiki professionals. I didn’t say either that I thought, or that H.D and H.I. said, that people can’t practice without spiritual “attainment”, only that treatments would be more effective the clearer one is. And I used the word “condition” rather than “evolution” or “level” on purpose. These latter two words imply that there is some sort of linear progression in “spirituality”, as if it were a ladder that goes up and up, and you can put people in various places along the ladder. That’s not how I see it. A “condition” can occur at any time or place. I could be completely out of it (spiritually “unevolved”) one day, and very clear (spiritually “evolved”) the next day. It’s not linear. It’s useful to have in mind that our spritual condition (as I’m using the term) affects our treatments. So “just for today”, I can be as clear-minded and -hearted as possible, without taking any sort of position about how evolved I think I am or other people think I am. I was mainly trying to propose that the “Reiki can do no harm” idea as it is taught can get in the way of people taking the Reiki Principles seriously, thinking they are just some sort of quaint Japanese cultural thing that has no relevance for us Westerners. I’ve seen it happen, and I’ve seen teachers teach it this way, as if it’s just a little footnote. The more we can be in the awareness that there is only this moment, only this leg with my hand on it, only this person lying on a table, only this sensation in my hands, only this mysterious force moving my hands, then the more there is the possibility of something miraculous happening, even in the smallest way: the release of some tension; a client saying “I felt something let go!” It doesn’t have to be a big miracle, just the noticing that something has changed just by having a hand placed somewhere, just the look of relief or wonder on another person’s face, just that mutual sharing of something that is beyond words. And in time, bigger miracles may occur, but they’re not the main point. Reiki practice is a beautiful thing, and we can communicate the Reiki Principles to others through our own presence, helping them accept, release, let go of worry, be kind to themselves, and nurture their own desire to heal and grow. I agree with you that spiritual development is not linear, but I don’t agree that it is quite as unstable as you seem to suggest. As my Japanese colleagues state, the stability of one’s state is a hallmark of spiritual development. Our state becomes more stable with continued practice, as our self-identification gradually shifts from that which is impermanent (body, emotions, etc.) to that which is abiding. And when our state wavers, our practice stabilizes it. We have no way of knowing how effective a treatment is. While there is much to be said for maintaining steadiness, I agree with Mrs. Takata, any Reiki treatment is better than no Reiki treatment. So are you disagreeing with their statement: “If we want to be a clear or pure Reiki channel, it all depends on our spiritual level. So the result of our treatment of others depends on our spiritual development.” That’s a very definitive statement. You seem to dismiss this by saying there is no way to know how effective a treatment is, which doesn’t make any sense to me. If we couldn’t see any results from our treatments, we wouldn’t be practicing Reiki for very long! FYI, I wasn’t at all saying that spiritual development is highly unstable, I was just trying to make a point, which doesn’t seem to be getting across. I often say, Reiki is safe, but is the practitioner safe? However, I’m not comfortable saying that one’s spiritual condition is a factor in how effective a Reiki treatment can be. Somehow I think it could be interpreted to support judgmentalness, comparison, or focusing on results, and I don’t think that is the same as saying that our first responsibility is to take care of ourselves (which is a never ending responsibility). It makes sense that the more balanced we are, the better able we are to carry the Reiki connection. The effectiveness of a treatment is beyond us. The research is done to document benefits from Reiki treatment. We can document small healing steps and build an understanding in the medical community. And it is often encouraging how much benefit people experience from a small amount of treatment. Viewing this kind of benefit while working in hospitals and reading about it in research papers builds confidence that enables practitioners not to get involved. I encourage research that uses new First degree students. If this practice is beneficial, the benefits will be visible from the beginning level. Part of the beauty of this practice is that we don’t have to be advanced practitioners to experience benefit. Well, that depends on what you mean by “spiritual”. It’s used so often, and to mean so many different things, that it can be very misleading. I try to avoid using the word “spiritual” for this reason, unless I know how someone will understand it! I often meet people I would call very spiritual who have never done a day of meditation, never gone to church, etc. But they are noticeably in contact with something. They emanate a glow, a peacefulness, a loving nature, a freedom from reactivity (sounds like the Reiki Principles, eh?). If that’s what you mean by being “balanced,” then we are in agreement. Doi Sensei and Inamoto Sensei said “we need to be spiritually evolved or developed so we can be a clear, clean Reiki channel. If we want to be a clear or pure Reiki channel, it all depends on our spiritual level.” I am speaking to that statement. Now, using the word “level” can and does stimulate egos to reach for some kind of attainment, to compare ourselves to others, etc. But true spiritual development is the complete opposite of that, and of judgmentalness, comparison, and focusing on results. That’s exactly why the senseis said what they did. So, talking about that to Westerners in a way that communicates what it really means can be challenging. As for research, I understand your wanting to show that people don’t have to be advanced practitioners to experience benefits, but the people who feel like they need to see studies aren’t usually the people who are interested in Reiki and take classes from us. They’re the scientists and doctors who are looking for “proof” that Reiki actually does something, and the current state of affairs is that there isn’t any, as you’ve said yourself, and least not any that would convince a scientific skeptic. But, even if you include first degree students, there should at least be studies that use them in a setting where treatments are giving for longer times, more frequently, and over a longer time span. Actually I have a question which not knowing where to ask it on your blog, I thought of putting it at the end of the thread on this topic. Have you seen, or maybe developed yourself already a Reiki Vocational ‘protocols”. Reiki Courses and Manuals ( including classes) often emphasis on knowledge and skills for Reiki, how to give treatments, attunements, how to organise a class, and the same. I don’t seem to have ever seen standards, or guidance on how to ‘receive clients; which questions to ask, introductory briefing to know the patient better and create a rapport and let the energy flow prior to the treatment per se. Would you have any available? I have not yet seen any beside good common sense, and/or some code of ethics and intake forms which are filled in as part of a register for a patient. I’d love to hear from yo on this one. Who woulda thunk that doing not much could be so hard! Totally agree, Pamela! And from the standpoint of a practitioner, offering the treatment without getting personally involved in the outcome is probably one of the most challenging aspects of the work we do. Many of us have been on the other side of the healing journey and know all too well what it is like to suffer and to be in pain. Sometimes (because we’re human) it is hard not to sympathize with someone else’s suffering. I remind myself that “I” am not doing anything; I’m simply there to help the recipient facilitate the process and that helps a bit. So true, Dana. And even if someone has not personally addressed a health challenge, wanting to help is usually part of our motivation to become professionals, and it takes discipline and relaxed vigilance to stay within our scope of practice and keep from overstepping boundaries. I often tell my students that the hardest part of practicing Reiki is how little there is for us to do. We’re all so used to working hard, and the “work” of practicing Reiki is more about our relationship with ourselves than doing something to our clients. Much gratitude to you, Hyakuten Inamoto and Hiroshi Doi for sharing this conversation, Pamela. It conveys simplicity, as a balance to we in the West who love complexity. I have been teaching the same principle around protection — not necessary, trust the Universe. Many teachers have repeated this principle, not just in the Reiki world. I’m glad to see it reinforced by these venerable teachers; that will save a lot of needless struggle. I will share this on FB, get the word out. Jeffrey, Thank you for your support. I would like to clarify one point. The understanding regarding protection is not, as you say, “trust the Universe.” Rather, it is that the Reiki initiations give us a way to resonate with or connect to (words are inherently inaccurate) the highest, that which is everywhere all the time. Since there is no separation at that level of all-pervasive consciousness, there is no need for protection as long as we are staying within the scope of Reiki practice. It’s more a matter of mindfulness than it is of trust, mindfulness to stay within the scope of Reiki practice. Once a practitioner strays outside the practice, perhaps through adding on or intervening or even dropping boundaries, the practitioner has moved past that resonance with oneness. It’s necessary to be mindful of our practice and mindful of how we carry ourselves as practitioners; it’s not a matter of blind trust. about protecting ourselves when we offer Reiki healing. That is our understanding:protection is not needed” to mean that in the context of giving a Reiki treatment to others that there is no need to protect ourselves from another person’s energy. This is a common question I get from students and clients and I quickly reassure that additional energetic or spiritual protections are not needed because we’re not exchanging “bad” energy for “good” energy. I’m not going to “take on” your “stuff” because, in essence, there is “no thing” to take. That’s not to say there aren’t times in our lives when we need to protect ourselves energetically or physically from another person or situation, but it’s not necessary when we connect to (and I agree with Pamela that the words are inadequate to describe the action or process of becoming) the spiritual energy of Reiki. I learned another form of energy healing where there was a lot of emphasis on removing dirty or negative energy and replacing it with good or positive energy, like stripping old paint off a house and replacing it with new paint. I personally found that kind of dualistic thinking limiting, which is why I gravitated towards Reiki. My personal experience with Reiki has not been that nothing is being removed or replaced; we are simply engaged in the process of reconnecting with our Original Self. I basically agree with your interpretation, Dana, and in the interest of clarity–you know how I am 🙂 — I like to specify that even though we are safe offering a Reiki treatment, we still need to be mindful regarding what else might be happening in our personal interchange with the client, friend, or family member. When we are giving a Reiki treatment to someone, we are safe in terms of Reiki practice, but if we are, for example, feeling sorry for the person, we may be creating a negative interchange without realizing it. If we can accept the reality of suffering with dispassion and compassion, and simply offer the Reiki treatment without getting personally involved with the outcome–in other words, resonating with the oneness of Reiki–then we are safe. Thank you so much for sharing! Always! I wanted to share something as well: My teacher, Barbi Lazonby told us that Takata sensei always said that the navel was very important to place hands. To the extent that if one only had a short time to practice, they should place hands on and around the navel area…to keep the body healthy. Thank you so much for initiating and transcribing this interview with hy teacher, Hyakuten Inamoto, and Hiroshi Doi. What struck me (as it did when I took Komyo Reiki Shinpiden training with Inamoto Sensei) was how simple the concept of Reiki is for them. In the West, we have the tendency to want to overexplain and overanalyze esoteric or spiritual concepts. An effective teacher can present and teach the essence of something without too much jargon, which is what they do. And they manage to do it with the limitations of trying to translate innate Japanese concepts and assumptions into English too. What a joy to have this transcript available so that I can provide it to my students, and thank you again so much for sharing! Thank you for this most informative interview. The simplicity of Reiki is its beauty, when we leave out our egos and just let it flow, that is when the magic can happen. Oops! Just realised my Comment wasn’t very clear it was Hawayo Takata who, when asked by students whether the Ki in Aikido and the Qi inTai Qi was the same as Reiki, said no it was completely different! I think I will ask my teacher, Tadao Yamaguchi, what his view on whether Reiki is actually Ki. Thank you. This is wonderful and so important. To paraphrase Lizzie’s comment, I too was happy to hear that (what I felt in my heart) is true in terms of surrender and of being protected…that I am safe in the “hands” of Reik…to surrender to Reiki wisdom is such a gift. It is great comfort to stop thinking and just practice. 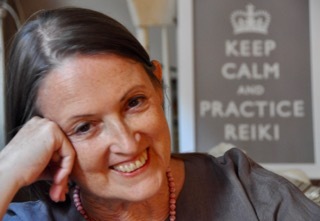 Thank you Pamela for your sensitive and brilliant ability to communicate and clarify the practice of Reiki. WOW! That was great. I felt like I was right there in their presence. What a great interview. More, More, More! Please. learning my life through reiki has brought me countless gifts. the one I appriciate most is the one I recognize as “coming home”, being one with, becoming aware … in”teaching” Reiki I find it inspiring & challanging , standing empty handed infront of the student knowing that the manifestation of his/her own connectedness with Reiki will rise with the grace of the practice itself. Reiki is teaching through me in the same way that when loving it is love that loves through us. I appreciate greatly the Questions & answers in this interview and the depth of understanding they evoke . In a world full with Healing techniques and energy work it is like arriving at the ledge of a still pond where your heart is reflected clearly back at your rippleless gaze. so simple, so deep. Thank you for sharing this interview – so sweet! And what a wonderful ‘Happy Blogversary’ present! I practice both Tai Chi & Qigong, & have always felt that in Reiki, the ‘ki’ was the same, just different way to work with it (& certainly help with spiritual growth as well!) and loved the comments about the importance of the navel, of the tanden. I also liked the comment about Usui just having practitioners place hands, & Hayashi formalizing positions, to make it easier for us to practice! This makes sense to me. Interesting to think of this helping us fine tune our perceptions. It was also interesting that Usui worked on people while they were seated, while Hayashi introduced treatment for a prone client. Thank you again for sharing this interview with us! Pamela has taken what others have made confusing to both doable and simple. She has provided what Reiki practitioners need to know and I appreciate and respect her efforts. This was such an interesting discussion, Pamela, thank you for posting the transcript. I was fascinated by the references to ‘protection’ and ‘surrender’, which confirmed my instinct that all will be well if I just get out of way and let the Reiki do … whatever. As far as I, personally, am concerned, the simpler the better. Thanks for this interview, Pamela, and thank you for asking them about my little saying: “Ki flows, Reiki glows!”. It is interesting that they say Reiki is Ki because, when asked by students whether the Ki in Aikido and the Qi inTai Qi was the same as Reiki, she said no it was completely different! She also said that is was always the students of these techniques who asked that question, never the teachers, because they already knew. It is also good that that they differentiate between the hara and the tanden, which is a confusing point for many Reiki teachers. Thank you for publishing this interview. It is immensely interesting, and clarified several points about which I’ve been curious. Thanks, Pamela, for asking all the right questions. In particular: is Reiki energy? Innate or external? Is Reiki a spiritual practice, a meditative path to Enlightenment or a hands-on healing practice? Should one set an intention? Are chakras involved? How does Western Reiki differ from Japanese Reiki? All these were questions I had, and now some answers to consider. Thank you so much. MK ~ Reiki Nurse. Thank you so very much for this interview, to all involved! I am most grateful. I especially appreciated the answers regarding “getting out of the way”. So much of what is taught now in the West is about moving and manipulating the energy during a session, leading the students to believe that they are the healer, rather than Reiki. Also, the question regarding the need for protection. This question has come up over and over from my students mainly because another teacher has communicated a level of fear about receiving negative energy. Many thanks for their time, experience and the gracious sharing of their wisdom! This interview has helped me move along toward my goal of becoming the best teacher I can be for my students of Reiki!